After I posted What to do — and not do — with your former mortgage dollars, I received a request for advice on a strategic default from a woman I’ll call Tricia. I agreed to give her some (friendly, I-am-not-a-lawyer) suggestions based on my own research, and she gave me permission to share our exchange here. A note to readers: Tricia and her husband had already skipped their first mortgage payment before fully researching the situation or seeking guidance. Unfortunately, a lot of their assumptions turn out to be inaccurate, and this may result in some unforeseen negative consequences. I sympathize with being fed up, but for your own sake, do the research first, before you take any action towards a strategic default. My husband and I are in a similar situation, only a year behind you in the process. We just stopped making payments this month. We also have Bank of America with a first and second loan (100% financing) from 2007 and we, like you, waited two years in the making homes affordable program and sent and re-sent paperwork with absolutely no progress. We hope to short sale or do a deed in lieu of foreclosure. Do you have any advice based on your experience? Anything you would do differently? We have a few loans we would like to pay off with our “extra” cash. Do you know of any downfall to paying off debt while trying to convince the bank that the mortgage is too much? I corresponded with Tricia a bit and got some additional information. Tricia’s family lives in California. She is married with two children — a toddler and a baby. The Zillow estimate for her home is $403k, but her personal estimate is closer to $350k. Yikes! Those are some of the worst loans I’ve ever seen. Interest-only loans are pernicious. Avoid them! Their first mortgage, for $429k, is an interest-only 7-year ARM. Since it’s interest-only, they still owe all $429k. The second mortgage was a variable-rate loan for $107k, of which they still owe $99k. … plus another $25k of student loans at 4.25%. They did have a substantial (~$20k) loan from family members, but that debt appears to have been forgiven. On the positive side, they have zero credit-card debt (yay!) and they want to pay everything else off and keep it off. “We plan and hope to never have debt again,” Tricia writes. I am a nurse and I work per diem so I get roughly 3 days of work a month. Last year my W2 was just over $5,000. I am mainly a stay at home mom. (I note that Tricia was pregnant or had a newborn for most of 2011, so I assume she was working less then than the three days per month she cites now — otherwise, her hourly wage would have been only $17 per hour, in a state where the average hourly wage for nurses is $43.) A 35% reduction means that her husband’s expected income for 2012 is about $54k. After their first month without paying a mortgage, they have about $23k in non-retirement savings. Tricia’s husband has been contributing $670 per month to his 403b retirement plan. Neither one contributes to an IRA. My budget is so bare bones that we don’t have a clothing fund. I’ve been wearing the same wardrobe for 5 years. I’m not a fashionista but come on! A new dress would be nice. One thing we have not and will not sacrifice is food. It’s expensive to eat healthy. We don’t eat out a lot. We average around $75 between the two of us for restaurants per month. My grocery bill is large, around $900 a month. We want to have this all resolved by December 2012, mainly because we want to go back east for 2013 while my husband does his sabbatical work. Our families are in Indiana and North Carolina so we can live with them for the year. First, let me correct a few misconceptions about mortgage default. 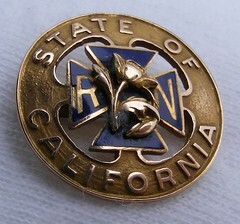 You are extremely fortunate that California, like my own state of Washington, is a non-recourse state. In your case that means that you will be able to walk away from your primary mortgage (because it was an original ‘purchase money’ loan, never refinanced) and the lien holder must accept the house as full payment. State law. You don’t need to negotiate with the bank over this at all. So that $429k, you can stop worrying about it now. The second mortgage is a little trickier. When the holder of the first mortgage forecloses (or sells short, or whatever), the second becomes a ‘sold-out junior’ loan — an unsecured debt much like a credit card debt. Without going too far into abstruse legalities (because the recourse status of sold-out juniors in non-recourse states is a little fuzzy), you will still owe $99k on that second loan, and the lienholder might get a judgment against you for it if they went to court. This, you do not want. Now, the downside for them is that going to court is expensive, as well as risky because of the aforementioned fuzzy status. They will certainly threaten to sue you, but they’re only going to actually do it if they think you have enough money to make it worth their while. The hole card against being sued for a debt is bankruptcy. Chapter 7 is the one that clears your debts; Chapter 13 puts you on a 3- or 5-year repayment plan. In both cases, any assets beyond specific state or federal exemptions will be used to repay your creditors. It’s my educated guess, based on the information you gave me, that you and your husband will not qualify for Chapter 7 bankruptcy. However, the only way to know for sure is to run through the lengthy test yourself. You should do this first, as the answer will impact other decisions. Chapter 13 is, as far as I can tell, of limited use to you either. If you wanted to keep your house — and if your primary mortgage weren’t so amazingly awful — you might be able to strip the second lien entirely. But that would still leave you with a primary loan that’s interest-only, turning adjustable, and as much as $80k underwater. I highly recommend Nolo’s extensive online bankruptcy resources. However, I’m personally less familiar with Chapter 13 (since it didn’t apply in our case), so there may be an advantage I’m missing. You should probably do further research on your own. You can also talk with a bankruptcy lawyer, but be careful — the lawyer makes money if you file and nothing if you don’t, so your interests and his are not necessarily aligned. 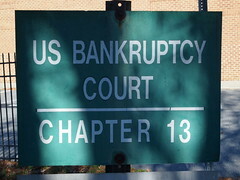 In your case, assuming you don’t qualify for Chapter 7 bankruptcy, and don’t want to apply for Chapter 13, you should expect that at some point down the line you will be negotiating a settlement with the second lienholder. I’ll come back to that below. Now, as to the idea of doing a deed-in-lieu or a short sale: forget it. First of all, even though Bank of America is your servicer for both loans, they probably don’t own either one of them (despite what some random customer service rep may tell you). Short sales are also notoriously difficult to get approved when there is more than one lender in the mix, because the junior lender is able to indefinitely sabotage the process, and — with no equity in the property — has no incentive to play along. Furthermore, there is zero benefit to you in pursuing either a DIL or a short sale — at best it will play out much like a foreclosure; at worst it could drag out the whole process by an extra year or two, and cost you thousands of additional dollars. According to FICO, keeper of the credit score, if you’re underwater on your home a deed-in-lieu, a short sale, and a foreclosure all have the exact same impact on your credit score. Furthermore, both DILs and short sales require full financial disclosure, which you want to avoid — on general principle, but especially in your case where there’s a chance you might get sued down the line. You don’t want to give them any more ammunition. You indicated that you thought the bank would be more likely to agree to ‘accept the deficit’ on the house and not take further action against you for the balance if you arranged a deed-in-lieu or a short sale. But in California the first lienholder has no choice and must accept the deficit without recourse. And I can promise you that the second lienholder will not treat you more favorably in a short-sale or DIL situation. They are completely out of the money and will get nothing in any case, except by coming after you. Believe me, I know what it’s like to want to just move on, but I’m sorry to say that your hope that this will all be over by December 2012 is wildly unrealistic. The legal minimum length of the process in California is 170 days from first default — just shy of six months. But in reality a) bureaucratic processes rarely move with maximum efficiency even if all parties are motivated to do so, and b) the bank determines the foreclosure start date, and it’s typically in their interest to delay, often a year or even two. Even after the foreclosure is complete, you’ll still have to deal with the second lienholder. Based on a large (albeit unscientifically distributed) sample of prior cases, I’d say it’s likely to be at least 2014 before you can close the books on this, maybe even 2015. I think the odds are good that come December, Congress will extend the tax break another couple of years … but you should be prepared for that to not happen, which means having access to enough money to pay the tax in the year following your actual foreclosure. Plus, California will still be levying state income tax on the deficiency, regardless. Since we’re probably talking over $40k in income tax here, that could be a huge burden, wiping out more than an entire year’s saved mortgage payments. There is no benefit to, and much potential harm in, dealing with the junior loan before foreclosure proceedings are final. Just ignore them and wait. By that point — probably at least two years from now — you will not be dealing with BoA anymore but with a debt buyer which has purchased the now-unsecured junior loan for pennies on the dollar. Assume that this company will be ruthless, even cruel, in harassing you for payment. You will have to remain firm. Do not trust anything a debt collector says. Do not give them any financial documents. Get a quit-claim in writing, contingent upon an agreed payment amount, before sending any money at all. This is where past actions in good faith may unfortunately hurt you now, because the bank has your full financial information as of your last HAMP application in February 2011. You have to assume this will be passed on to the debt buyer. Even if you never give them another scrap of data (which you should not), they may be able to tell (for example) that you aren’t eligible for Chapter 7, or to infer that a tenured professor has a guaranteed income which could be garnished. In short, they might have enough information to suspect — correctly or not — that they could recoup a big chunk of that $99k if they try for it. The loansafe.org forums have the best concentration of real-world information on mortgages, although it often takes a lot of sifting to find something in particular. Here is an excellent post on “Strategies for Settling your Second”. In your situation, I would expect to pay around 10%-12% — enough of a profit carrot to make a lawsuit look unattractive by comparison. (Hard-line negotiators have settled for as little as 5%; less-skilled negotiators sometimes pay 20% or more.) Remember that the creditor probably paid 3%-4% for the loan, so 10% would be a 250% to 300% profit. Standard negotiating tactics apply — let them name the first number, then counter with a number much lower than where you are prepared to end up. Mind you, we aren’t even in foreclosure (after 14 months!) so I haven’t personally been through these negotiations yet; this is just based on the best advice I’ve read from people who have. Plus, you’ll need to keep enough savings to get you through the two summer months each year where your husband doesn’t draw a salary, as well as a solid emergency fund to cover random acts of life. Further complicating matters is that you’ve been living paycheck-to-paycheck at full employment, so you’re going to have to cut back on your monthly spending — over and above the dropped mortgage payment — in order to see any savings at all during the sabbatical year. If you don’t make any other changes, most of that $36k will be eaten up by ‘normal’ spending. Also, you’ve been saving only about $8000 per year for retirement for two people, which isn’t nearly enough. Frankly, strategic default is not a clear win in your family’s situation; if you had come to me with the question ‘should we walk away?’, I would be cautioning you against the many downsides, and exploring some other options. Step 1: Immediately open up two Roth IRA accounts — one for yourself and one for your husband. Take $10k of your existing cash and deposit $5000 in each for 2011. You have until April 17 to do this for last year. Don’t get stuck on picking investments up front, just get the money in an account before the deadline. Step 2: Recalculate withholding for the rest of 2012, given your husband’s upcoming drop in salary and the loss of around $30k in mortgage interest deductions. Step 3: Sell the SUV. It gets lower gas mileage, costs more in insurance, and you owe more on it. Pay off the remainder of that loan. You should have a loss of under $2000 there, and might even break even. Step 4: Pay off the loan on the Saab. (I’m hoping here by the way that your auto loans are non-predatory, with no prepayment penalty.) It’s now your highest-rate debt, and you need to save yourselves the extra interest and get rid of that monthly payment. Step 4, Advanced: Sell the Saab also and buy a better used car. I realize this may be a big leap for someone in your position, but objectively it’s the best course. The Saab gets mediocre gas mileage and has a poor track record on repairs. 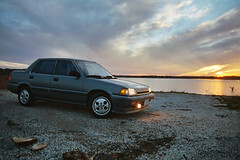 Pick a compact sedan with excellent gas mileage and repair history, then find a car in above-average condition that’s at least ten years old. This will cost you around $4000 now but will save you much more in gas, repairs, and annual insurance across the next few years. You might want to sell the Saab in California and buy the replacement once you get to Indiana or North Carolina, where prices are probably cheaper. Bonus: this would be a car that you could actually keep if you are forced into Chapter 13, whereas the two expensive ones you have now would be sold to pay your debts. Step 5: Set aside $500 per person per month toward your 2012 Roth IRAs. Have it withdrawn directly from your husband’s paycheck into your respective accounts, so you don’t even see it. Retirement savings, incidentally, aren’t touched in bankruptcy … and until you’ve settled the junior loan and dealt with the tax consequences of foreclosure, there’s still a chance that you will be forced down that road. Step 6: Make a monthly budget. Start with the new monthly take-home amount, after both taxes and the Roth contributions. Include your student loan payments, plus at least 30% of your total expenses each month in additional savings. (You need to save 20% of your average monthly expenses for each of ten months just to cover your two salary-free summer months; the other 10% will go to rebuild a non-Roth emergency fund and to cover moving expenses, settlement money, and so forth.) So for example, if your husband’s monthly take-home totals $2800, you have a maximum of $2150 to actually spend. Step 7: Find ways to reduce your spending. Though we didn’t go into much detail on expenses, it’s clear that even aside from the mortgage payment, your family has been spending more than it makes. And even though you might have as much as a year and a half without mortgage or rent coming up, it won’t be a cakewalk, because at the same time your income will be considerably reduced and you are accruing tens of thousands of dollars in new expenses as a result of the default and move. So if you can’t substantially reduce your daily expenditures, you’ll be headed right back down the hole. Step 9: Accelerate student loan repayments. Student loans survive a bankruptcy, so it’s worth throwing cash at those even before you know whether you’re going to end up owing a pile of income tax on the loan deficiencies. Hopefully, Congress will give the millions of us with negative equity a tax break for a little bit longer. I hope this information is helpful. Good luck! Postscript: I have to admit, I headdesked when I saw Tricia write not only that she spends $900 per month on groceries for two adults, a baby and a toddler, but that she believes that’s necessary in order to eat healthily. Trust me, not even in San Francisco would that be true — she shouldn’t need more than half that amount, and possibly less. I wish I had already written up all my grocery strategies so that I could just point her at them, but alas, not yet. It’s becoming a high priority, though; this is just one of several things I’ve seen or heard recently that indicate a lot of people have a real need for better Food Fu. In the meantime, aspiring frugal foodies can start with learning from Mr. Money Mustache’s recent post “Killing your $1000 Grocery Bill”. Read the comments too; lots of good ideas in there! Excellent analysis Karawynn, but I’m curious about how a college professor and part-time nurse making around $90k thought they could afford a $530k house. She says when they bought the house they were both working full-time, and had no kids. Even so — just judging from how egregiously bad those loans are — it was probably too much house. But it doesn’t surprise me that they wouldn’t have understood that. I don’t know all the extended details of their circumstance, but I can easily imagine a situation where that seemed like the right thing to do. If you’re surrounded by friends and coworkers who are all conspicuous consumers, and advised by agents and brokers who stand to gain if you overspend … how are you supposed to imagine that everyone you know is Doing It Wrong?